And in the Bronx, even Woodlawn Cemetery is participating in "Jazz Appreciation Month," by hosting a concert honoring Duke Ellington and a walking tour of the grounds on April 29th. Ellington, as well as Lionel Hampton, Coleman Hawkins, and Illinois Jacquet, is buried at Woodlawn. On April 19th, the Iowa State Senate approved a resolution making the trombone Iowa's "premier instrument." Singled out were Glenn Miller (born in Clarinda, IA) and Jack Jenney (a Dubuque native). Fats Waller: "The Complete Recorded Works, Volume 1: Messin' Around with the Blues,"
Drummer John Von Ohlen has worked for several great orchestras, including Woody Herman's in 1968-69 and Stan Kenton's during 1970-72. Enquirer this month. "He was a god to me, and the band was a family, all of us good musicians. It was different with Woody - they weren't good musicians, they were great musicians. I felt like I was hanging on by my fingernails." Today, Von Ohlen, 65, doesn't travel much since he went off the national circuit, but remains active around the Midwest. (He was born in Indianapolis, IN.) He still plays, teaches at the University of Cincinnati, does workshops, and even gives private lessons. "Artie Shaw Orchestra to top off concert series," Alva [ OK ] Review-Courier, Apr. 1, 2007. Citizen / wiscnews.com, Apr. 22, 2007. Millegan, Lisa. "Swing Shift," Modesto [ CA ] Bee / modbee.com, Apr. 11, 2007. Parker, Ev. "Cab Calloway's grandson brings jazz great's music to life at the Opera House,"
Rick, Skylar. "Glenn Miller Orchestra at UCCC," Greeley [ CO ] Tribune, Apr. 13, 2007. Shearer, Jenny. "A new gig ... marriage: Big band era unites singer, trumpet player,"
The Virginia Tech University shooting rampage which left 32 students and teachers dead on April 16th caused concern on many levels across the country. Because acquaintances thought he worked there, Joe Enroughty received nearly 30 messages asking if he was alright. Actually, he's employed at Virginia Commonwealth University in Richmond, VA, which is about 2-1/2 hours away. Enroughty, President of The Guy Lombardo Society, said, "I guess I didn't realize I had so many caring friends." Meanwhile, "shock jock" Don Imus was fired after making on-air racist and sexist comments about the Rutgers women's basketball team. While some countered that hip-hop and rap entertainers have been doing the same thing for years, one poster to the Yahoo "Glenn Miller Fans" group, school teacher Glenn Mittler of Ohio, made an interesting observation. "I submit that Glenn Miller's 'Doin The Jive' pre-dates rap by a good 50 years and doesn't denegrate nor insult anyone to boot," he wrote. "My kids at school were shocked to hear Glenn's 'patter on that platter' and had to admit Glenn Miller was 'pretty good' at that." The Big Band Academy of America (BBAA) will hold its "2007 Big Band Reunion Luncheon & Concert" on April 29th at The Sportsmen's Lodge in Studio City, California. Special guests will include Jo Stafford, widow of bandleader Paul Weston and one-time vocalist with Tommy Dorsey's orchestra. 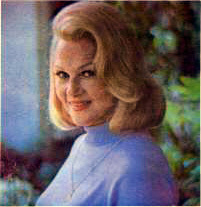 Though she no longer sings publicly, Stafford will make this rare, personal appearance to be inducted onto The Big Band Academy's "Golden Bandstand." This year, the special theme is, as described, "A More or Less Complete, Chronological History of the Big Bands." The 18-piece "BBAA Blue Ribbon Band," under the direction of saxophonist Pat Longo, will perform, and a salute to Horace Heidt will be offered by his son, Horace Jr.
To order tickets or more information, contact Reunion organizer David Bernhart (son of the late Milt Bernhart) at 818-559-1313 or via bigbandacademy@yahoo.com. 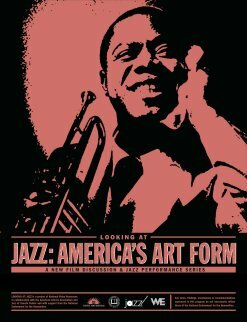 Libraries and non-profit organizations in some 50 communities across the country received grants to present this month “Looking at Jazz: America’s Art Form,” in cooperation with National Video Resources, the National Endowment for the Humanities, Jazz at Lincoln Center and the American Library Association. The programs include film clips, live performances, and discussion. Kudos to everyone involved! For those in New York City, historian Phil Schaap will present two special music courses each week at Frederick P. Rose Hall, the home of Jazz At Lincoln Center. They are "In the Classroom: Swing University: Advanced Jazz History" and "Duke Ellington with Phil Schaap." Each class lasts 4 hours. For fees and registration, call 212-258-9999 or email swingu@jalc.org.